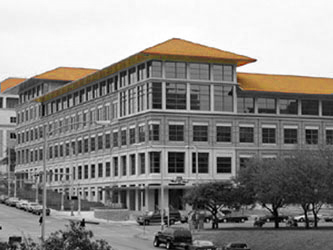 The Sexual Psychophysiology Laboratory is located on the University of Texas campus on the third floor of the Seay Psychology Building, suite 3.318 (SEA 3.318), 108 East Dean Keeton St., Austin, TX 78712-1043. Take the 35th Street exit. Turn right on 35th Street and continue to Guadalupe. Turn right onto Guadalupe Street and continue to the stoplight at 27th Street and turn left. Continue to the stop sign at Speedway and turn right. Immediately to your right is the Speedway Parking Garage. Park in the Speedway Garage, located on the west side of Speedway (entrance is on your right). Take the Windsor Road exit. Turn left onto Windsor Road. Windsor Road turns into 24th Street. Take 24th Street to Guadalupe Street and turn left. Continue to the stoplight at 27th street and turn right. Continue to the stop sign at Speedway and turn right. Immediately to your right is the Speedway Parking Garage. Park in the Speedway Garage, located on the west side of Speedway (entrance is on your right). Take Exit 235A University of Texas/MLK/15th Street. Turn right on MLK Blvd. Stay to the right. Immediately veer right onto Red River. Continue to the stoplight at Dean Keeton (formerly 26th Street) and turn left. Drive under the walkway overpass to the stoplight on Speedway and turn right. Park in the Speedway parking garage, located on the west side of Speedway (entrance is on your left) before 27th street. Take Exit 235A University of Texas/MLK/15th Street. Take a left onto MLK Blvd. Immediately veer right onto Red River. Continue to the stoplight at Dean Keeton (formerly 26th Street) and turn left. Drive under the walkway overpass to the stoplight on Speedway and turn right. Park in the Speedway parking garage, located on the west side of Speedway (entrance is on your left) before 27th street. NOTE ABOUT PARKING: Street parking it often difficult to find on campus, particularly on weekdays during business hours. It is usually easiest to park in one of the University garages. The nearest garage is the Speedway Garage, located on Speedway between Dean Keeton and 27th Street, just north of the Seay Building. Parking rates are $6 for up to 2 hours, and $8 for over 2 hours. Parking rates are reduced to $3 after 5:45 p.m. Also, many restricted parking lots on campus are open to the public after 5:45 p.m.
For further assistance with routes and schedules, please contact Capital Metro.